Back in April this year, the five blokes at The Fifth Person decided to take a trip to Sabah, Malaysia, to scale Mount Kinabalu. At 4,095 metres (13,435 feet) tall, the mountain is the highest peak in South East Asia and was naturally the most convenient instrument for us to prove our manhood to one another. The actual climb to the summit took place over two days. We arrived at Kinabalu National Park headquarters on the first day at eight in the morning where we met our guides, received our climbing passes and proceeded to Timpohon Gate – our start point for our six-kilometre ascent to Pendant Hut – our rest house situated close to the summit. Setting off at the start from Timpohon Gate. Steps, steps, and steps all the way up. The magnificent views on the way up. We hiked upwards for the most gruesome six hours before we finally reached Pendant Hut at 3,314 metres above sea level at 2 p.m. in the afternoon, announcing our entrance there like a cast of of zombie extras from The Walking Dead. Pendant Hut was going to be our rest house for the next 12 hours before making a push for the summit at 2 a.m. the following morning. We had a good rest and shower, and a quick briefing on our summit climb before tucking in to a very hearty dinner. At Pendant Hut with our fellow climbers. Laban Rata resthouse where we had our dinner. After dinner, we needed to get a few hours of shut-eye before our summit climb in the wee hours of the morning. By 8 p.m., most of the climbers were in their bunks fast asleep. At 1:30 a.m. in the morning, we slowly started getting out of bed for a quick breakfast and prepared for our ascent to the summit. The summit push would be done in near total darkness with only our headlights and the moon shining our way. The reason for the early morning climb was to hit the summit by sunrise to enjoy the… sunrise. So off we went. The climb from Pendant Hut to the summit would take another 2.7 kilometres for the next three hours. While the hike for from Timpohon Gate was humid and marked with dense vegetation and dirt trails, the journey toward the summit was markedly different; we found ourselves traversing over barefaced granite rock in the cold and darkness of the early morning. Hiking toward the summit in the dark. The same grey granite ridges visible later during the day. After what seemed like endless uphill stretches of grey granite ridges, the summit of Mount Kinabalu, Low’s Peak, finally came into full view. This was the final push to the top. By this time, the sun was starting to rise in the sky and the beautiful, barren landscape around us started coming into light. Finally, after a total nine hours and nine kilometres of trekking up dirt trails, countless steps and endless granite ridges, we reached the very summit of Mount Kinabalu – 4,095 metres above sea level. At the very summit of Mount Kinabalu. We stuck around for awhile taking photos – soaking in the pristine views from the top of the mountain before we finally headed back down. By now, the sun was up in the sky and we had about half an hour to get to our next checkpoint – our via ferrata course. It took us another four hours to complete the via ferrata course before we finally headed back to our hut where we had lunch and a very brief hour’s rest before hiking all the way down Mount Kinabalu for another three hours to finally get back to where we started the day before – Timpohon Gate. To say that hiking up the tallest mountain in South East Asia, crossing a via ferrata, and heading down immediately after was one of the most physically demanding things we had ever done is an understatement – but the entire journey was well worth it. The pilgrimage to a mountain’s summit can be a very enriching personal experience and the lessons we got from scaling a mountain peak is similar to surmounting any other obstacle we have in life in pursuit of our goals. For something as demanding as scaling a mountain peak, we had to make sure that we were mentally prepared to face up to the task. We read up and did our research on Mount Kinabalu, what it took to get to the top, and the possible risks we faced. If you have a goal to be a successful investor and financially free, you must do the same. Before you even invest your hard-earned money in the stock market, isn’t it imperative that you first learn how to invest? Go to the book store and pick up some of the best investment books around or sign up for a course that teaches you how to invest properly. Going in blind is risky and sure-fire way of getting into trouble fast – whether you’re climbing a mountain or investing. Climbing a mountain requires good, proper equipment. You don’t want to be stuck halfway up the hike wishing you brought along a thicker fleece jacket when temperatures start falling and the wind chill starts to bite. Similar to investing, you need tools that can give you precise information and data to help you reach the right investment decision. Because one little piece of information could mean the difference between a good or bad investment. Consider subscribing to some of the more reputable investment services out there, like Morningstar.com, that will give you the investment data, advice and research needed to make you a better investor. Reaching Mount Kinabalu’s summit required staying on the trail and following it right to the top. If you strayed from it, you might end getting lost or injured, and your goal of reaching the peak would never happen. In life, the path to financial freedom is not as clearly marked to the top like Mount Kinabalu’s – it is easy to get lost. All the more important it is for you to design a road map to reach your financial goals. How much passive income do you want to generate? Answering questions like these and knowing where you want to go is the first step to getting there. Once you know what your unique individual goals are, it’s time to design a road map to get you to the top in the quickest, safest way possible. Climbing a mountain by yourself can be fun but climbing it with great friends definitely makes it more special and rewarding. Like many other things in life, we accomplish so much more when we work together as a team. When it comes to investing, you can learn much more and grow much faster as an investor when you do it with a group of like-minded friends. Form a mastermind together and commit to meeting at least once a month to discuss investment ideas and critique each other’s research and analyses. By learning from one another, everyone benefits and improves faster much together – getting you to your financial goals that much quicker. Everyone knows the importance of having a guide or mentor to show you the way to the top. We had guides along with us on our climb to Mount Kinabalu’s summit. They told us how far we had to go, slowed down our pace as the altitude got higher and the air got thinner, and they looked out for us to make sure we all got to our destination safely. They knew exactly what to do every step of the way because they’d done it a thousand times before. Similarly, a mentor who’s already a successful investor can show you the steps you need to take and the mistakes you need to avoid for you to become successful investor as well. If you happen to find one, treat them with respect and learn as much as you can from them. The knowledge and wisdom you gain from them can be priceless. There are no short-cuts. You will meet obstacles, you will get knocked down and you will have to pick yourself up time and time again. Just remember when the going gets tough and everything seems like an uphill struggle, it’s precisely because of THAT that gets you to the very top. Because how can you ever reach the summit if you don’t go uphill? If there was no effort and no struggle, it only means your life is one big flat boring plain and you will never get to enjoy the view from the top. So enjoy the climb upwards because that only means you’re on your way up. And I can tell you… the view from the very top of Mount Kinabalu was simply magnificent and worth every single step to get there. You see all sorts of people from different walks of life on the way up to Mount Kinabalu. From young adventurers and avid mountain climbers to middle-aged travellers and elderly explorers. You see porters carrying up to 35kg-loads on their backs going up the trail – twice as fast as you. All of us gawking at a porter bounding up the steps carrying a huge load. Everyone has their own pace and we all move at a different speeds, but the main thing is no one is in a race with anybody and everybody, young or old, gets to the top eventually. In life we all seem to be a race with each other. A race to see who scores straight A’s in school, who makes the most money fastest, or who gets to retire first. But the only race we’re running is with ourselves. There’s no point comparing yourself to someone else’s life and achievements only to feel sorry for yourself because you don’t seem to have it “made” yet. Everyone has their own unique individual journey and goals; what you think he has may not be what you want at all! Set your own goals and your own pace. As long as you get to the top in your own time, you still get to experience the magnificence of the view. At the bottom of the Mount Kinabalu, the summit at 4,095 metres high, feels light years away. You start your journey but the longer you climb, the more weary you become. The summit still looms far over the horizon and you start to wonder if you’ll ever get there. But along the way, with each tired step, you reach a milestone, and then another, and another. Every single milestone reminds you that you’re inching ever so closer towards your ultimate goal. And you push on. Similarly, becoming financially free can seem like an impossible goal far off in the distance sometimes. It’s easy to get disheartened along the way if you don’t remind yourself to celebrate your milestones. Made your first thousand dollars from your investments? Celebrate! Received your first ever dividend cheque in the mail? Celebrate! 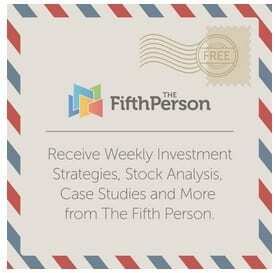 Made 10% returns on your investments in your first year? Celebrate, celebrate, celebrate! Because each milestone you reach gives you the strength and impetus to keep going on… until one day you finally reach your summit. And while we all need to descend from a mountain’s peak eventually, reaching your goals and earning your financial freedom is one summit you never ever need to come down from. Next Story → Why News Hype Could Lay the “SmackDown” on Your Investment Profits!